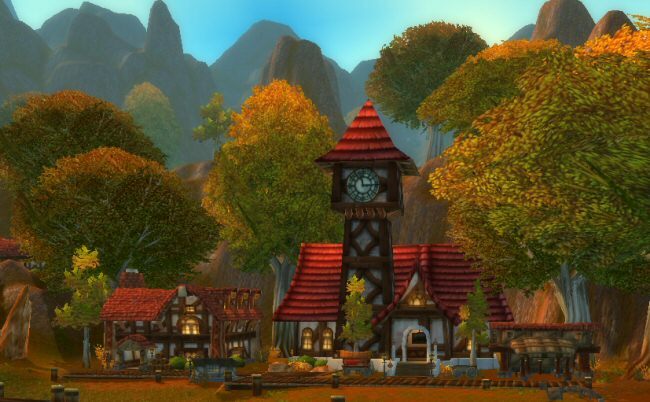 We're in the town of Lakeshire in the Redridge mountains. Boss has skipped talking to the useless guards, lackeys, and officials around town and gone straight for the top. 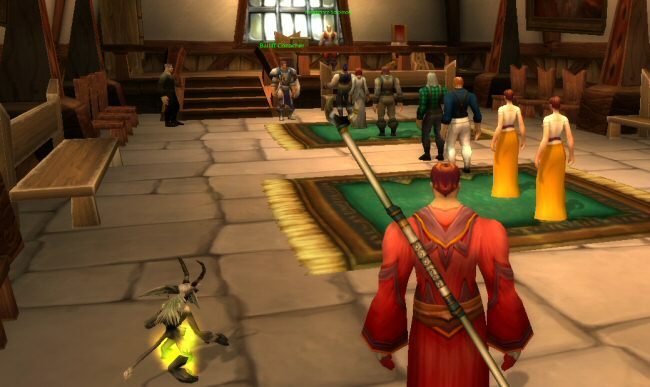 We're going to talk to the magistrate and see what this town really needs. There are a lot of people in line, waiting to see him and complain about the gnolls that are killing and pillaging their farms. This is not to imply that there is a single farm anywhere in the Redridge mountains. But wherever these idiots and their imaginary farms come from, they are pissed off and want to talk to Magistrate Soloman. The wait would take hours. Norman solves this by just cutting in line and demanding to know what needs done. 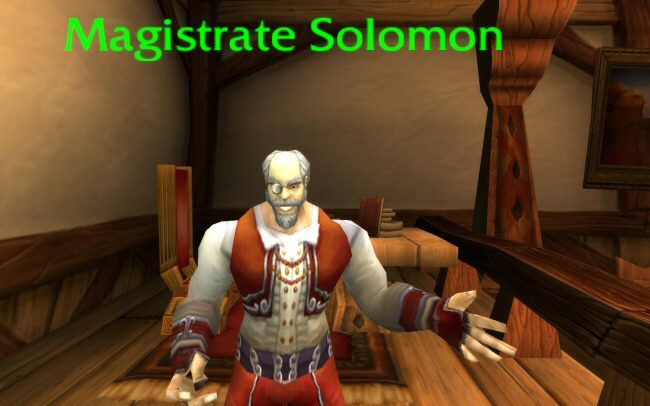 Magistrate Soloman peers at us through his monocle, "More of our citizens go missing every day. We think the gnolls are responsible, but we have no idea where they are taking them! If you are to help us defeat the gnolls and find our people, you must be properly equipped. Unfortunately, we are all out of gnomecorders. Without a gnomecorder, there is no way for us to communicate with you when you are in the field. Norman shrugs, "A gnomecorder is some sort of device for talking to people from far away, I take it?" Actually, a gnomecorder is a two-way wireless video communications device. That never needs to be recharged. And can apparently survive being submerged by murlocs for extended periods of time. It also dispenses coins when you complete quests. It's AMAZING what they can do with steam power these days. Norman tries to get a grip on this idea, "So you want me to hike out and fight dozens of murlocs so that I can get some contraption for letting me talk to you remotely?" "But why would I need that, I'm right here? Just give me the quest." "That's what I'm doing. Go get a gnomecorder!" 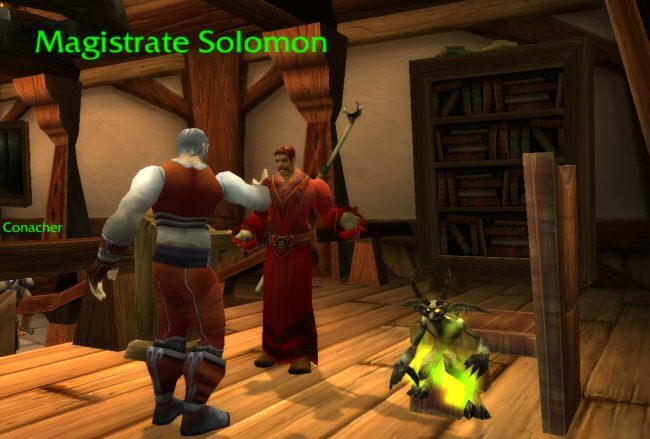 "But I don't need a gnomecorder to get a quest." "Yes, you do. You need one so that I can talk to you in the field." "But I'm not IN the field." "You will be once you go out to get the gnomecorder!" "I really can't believe you're the mayor," Norman sighs. "Listen, I want you to concentrate. After I get this thingy, you're going to give me another quest, right? You said something about gnolls? You want some dead, right?" "Of course!" he says. "Wouldn't be much point in sending you after a gnomecorder otherwise." "Here is what I want you to do ... I want you to give me that quest before I go get the gnomecorder." "But ..." the mayor looks down at the silent gnomecorder in his hand. "You won't be able to hear me." "I think I see the problem, here. The problem is that you need to be kicked in the nuts."